Has ECJ’s Google ruling made us forget there are other memories? The recent ruling by the ECJ has raised some concerns about the right to be forgotten. Many commentators have suggested that this ruling means the right to be forgotten exists. However, they have gotten ahead of themselves, as the right to be forgotten, if it is to be created, will arrive when the EU’s latest Data protection directive is agreed. The ruling creates a precedent, but does not create a right. However, the issue is neither the right to be forgotten nor the greater power to remove links, as these are the practical concerns that hide the underlying issue. 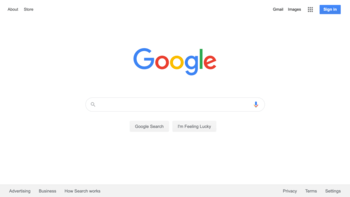 The focus on the search engine forgets that there are other memories that are not affected by this ruling that intersect with the search engines. Moreover, the role of memory is important so that people can be represented if they are not remembered, they cannot be represented. What are the other memories? There are three types of memories that dominate social media: Permanent, Corporate, and Individual. The permanent memory is the state. The state is *the* record keeper. The state made records and records make the state. The state holds your permanent record. It is also the holder of the “official record” (See link on accountability). You can see it is permanent in the way that you cannot erase your birth or your existence from a state’s systems. They hold you in perpetuity. For instance, on the marriage certificates in the United Kingdom, different places record different information about the parents, which suggests the ways that the way the state “remembers” some people is a way to forget others. ** In this sense, if the person is not remembered they cannot be represented, which raises secondary questions about the nature of democracy and the institutions that represent individuals. The corporate memory refers to memory held by companies such as Google, Facebook, Experian, and Zurich. Individuals are captured by this memory when they interact with them as customers and provide information. The idea of a corporation goes back to the middle ages. In the middle ages, the corporation would have been a guild house that existed as an institution between the king and the individual. The ECJ ruling addresses this memory because Google is the one remembering the information even though governments, corporations, or individuals may have supplied it. The individual level of memory is whatever anyone can retain or remember personally or within their digital memory. Some commentators have explored how this memory is growing and challenging the other two. The web allows such memories and knowledge to be linked in ways that allows individuals and corporations to challenge the other types of memory. The political and social consequences have been dramatic initially but it is still unfolding. States and corporations have succeeded by their ability to adapt to changes and they are still developing their response to this challenge. At an immediate level, we can see the challenge from individual memories in the way that they can use the web and their enhanced memory capacity to challenge the official history of events like Hillsborough and other incidents where an official version exists but is contested. The individual can create a memory and *share* it through links that challenge the state’s role as a gatekeeper of knowledge and memory. The ECJ has an indirect effect by limiting what can be found by severing the link, but not removing the memory or the engram. Our collective memory is more than Google. The discussion of the ECJ has overlooked these memories. Instead, commentators and analysts have assumed that because Google search engine will be changed that memories of genocides or disputed issues will disappear. However, this misses the wider context of memory that even Google exists within. One could say that the links Google holds are simply tears in an ocean of memory. However, the discussion of the three types of memory only captures the surface, or public, view of memory. We need to look beneath that surface and remember that the public memory, while vast, is only a fraction of the private memory that exists. For governments, there are the private memories held by the government and not known or seen by the citizen. The private memory is not limited to intelligence work or investigations from regulatory bodies like tax agencies. Instead, this means the memories created and used in the course of the government’s work to deliver services to its citizens. These memories are created and used by the state without the citizen being aware of them except perhaps by their effect. Please note that this does not include the state using such private memory to punish or coerce through blackmail or repression. I mean this as the bureaucratic shadow that all citizens have but may not recognize. Do we owe our digital soul to the company store? For corporations, the private memories can be the work that they do with customer data for analytics or customer profiling. The recent news about actuaries and the work around health profiling has brought this information to the public’s awareness. Some people are aware of it because of the concerns over data mining and data analytics. This is often hidden from view and the public are unaware of it. One only need to see, in the UK, the work of the demographics users group that uses large data sets to profile people just as the credit companies do with work that the public do not usually see. This is not to confuse memory and data but to suggest that discussions about memory and links on Google overlooks that they are built from data. The data is the building block for a memory. Finally, the ruling misses the private memories of individuals who can, as mentioned above, create rival memories to the state or to the corporation. They can take screenshots or set up memory sites that would not be seen by the individual. One effect of the ruling may encourage a private trade for such memories, where everyone has the potential to be an archivist or a private investigator. Here the ruling can never reach and this is the fastest and widest store of memory. While it is haphazard and less robust than either state or corporation memory, it is a reserve within which the state and the corporation exist because individuals can use those private memories to rally others and they act like engrams within a society. The private memories become like touchstones to remind people in a way that was previously limited to the public archives or even privately controlled archives. The web allows private memories to become public or at least accessible in ways that were previously not available. Forget about forgetting, we do not yet understand memory. Until we understand the full scale of memory as well as its public and private faces, we cannot address the true concerns about privacy and autonomy. In that sense, the Google ruling will simply make us forget memories and what they mean. What we need to remember is that the ruling and people’s reaction to Google is only a way in which the individual is trying to assert themselves within the community. One can argue quite persuasively that the ruling could eventually be applied to public archives to the extent that they are linked and searchable. Even though this is not discussed nor considered in this ruling, the challenge to memory means that in time the public archives will become as contested as the web. The more they become available, the more the individual will assert their self-professed “right” to control their identity and the community’s memory of them. In that sense, we are starting to see a new era of contested memories. **I am grateful to Stephen Benham who made this point. We must be careful to remember that there are other institutions that create and retain memories. A well known institution is the church. As Jürgen Habermas pointed out in his book, the Structural Transformation of the Public Sphere the Church created a space between the state and crown in terms of public representation. In these rival spaces, the individual could have their identity protected and represented. However, as the state expanded, the crown and the Church, to some extent, have receded as representative institutions. However, they both remain as viable memory stores to rival the state. The “right to be forgotten” – a threat to Transparency and Open Data? Right to be Forgotten or Right to be Forgiven? This entry was posted in Uncategorized and tagged ECJ, Google, Google Chrome, Google search engine. Bookmark the permalink. 1 Response to Has ECJ’s Google ruling made us forget there are other memories? The problem still seems to be that people assume everything on the internet lasts forever and so will never be forgotten. If people had a greater understanding of what is and what isnt possible then surely we could avoid these disputes about the need to remove links. The irony is the original complaint was based on someone having to sell their house, well i can guarantee that story is now more difficult to find because of the wave of recent information written about it. That is the nature of the web and indeed life itself, new stuff comes along and the old falls by the wayside. Why anyone would want to keep everything, for ever is beyond me. It doesnt even make any sense……. my great, great grandchildren would be deluged with information about me if they did a search of my name but the majority would be rubbish. Right to be forgotten?? ?…..Right not to leave a load of digital trash for someone else to wade through more like!